COULD YOU HELP SOMEONE LIKE JO? My name is Jo Dean. 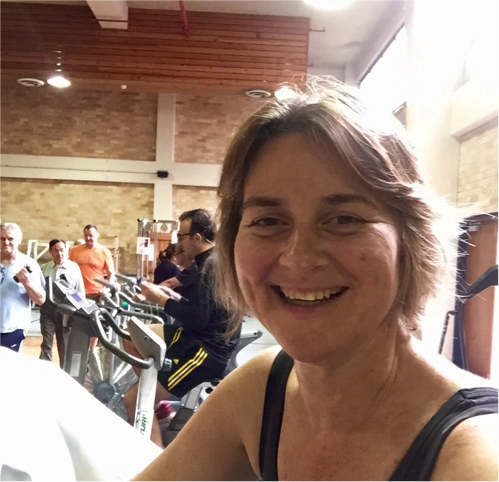 As a healthy 43 year old mum of two young boys, heart issues were the last thing on my mind when I started to experience chest pains on my daily cycle to work. Pedalling up gentle hills had started to seem so difficult and I found myself having to stop and get off my bike to ease the pain. I thought I was fitter than that! I checked in with my GP who immediately referred me to a cardiologist. Dr Elizabeth Robertson was able to tell from an echocardiogram that something was definitely wrong and that an angiogram would give us further information. I was really surprised to hear that, but it would not be the first time over the next few days I would think to myself, ‘Wow, I was not expecting that!” The angiogram showed I had a 90% blockage in my LAD, one of three major arteries bringing oxygen to my heart. The blockage’s position at the junction of a smaller artery mean that a stent could not be inserted and that I was looking at open heart surgery for a bypass. I was definitely not expecting that! I had none of the factors normally associated with heart disease – smoking, diabetes or high cholesterol. But I did have a family history of heart disease. Aaah. After a week to digest this news with family and friends (and after watching numerous fascinating Youtube videos of open heart surgery over dinner with my husband, Kyle and the boys!) I met with Professor Michael Wilson of the Baird Institute who was to be my surgeon. I was grateful that fate had led me to his door as my research revealed that he was very well regarded in his field and had an interest in really innovative treatments, including the Da Vinci Surgical Robot. Professor Wilson got straight to the point and said I’d be a great candidate for the robotic surgery. Again, I was not expecting that! It sounded like science fiction and I’d had no idea this less invasive technology could be available to me. I took very little convincing and was fully supported by my geeky, technology loving husband who assured me that this would be an amazing opportunity. And so a few days later I was prepped for surgery at Macquarie University Hospital. I was still in a bit of shock that things were happening so quickly, and that I was about to have a heart bypass taking advantage of the most advanced robotic surgery in Australia. I was incredibly fortunate that the surgery went extremely well and that after reviewing my CT scan a few days post surgery, Professor Wilson assured me it should last a good 50 years or more. That was certainly good enough for me! Five weeks on from my surgery I am well on the path to recovery… still taking it easy as I heal, but out and about in my community, walking my boys to school and living a fantastic life. I’ve just started rehab sessions at RPA which are helping me regain my strength, and I’m keen to get back on my bike which was so instrumental in helping bring the problem to light. I cannot begin to express the gratitude I feel at having benefitted from Professor Wilson’s expertise. The work he and other surgeons associated with the Baird Institute are doing is inspiring and ground-breaking. 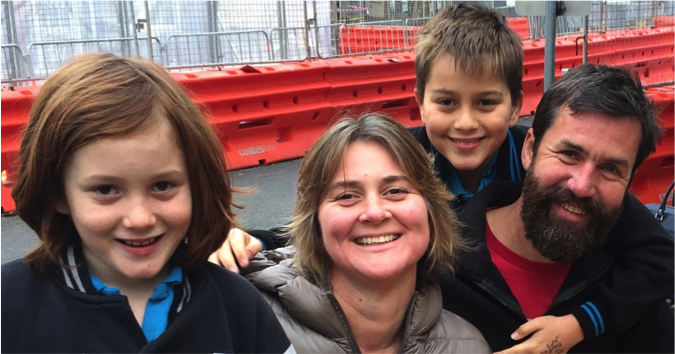 The direct impact on patients like me – and my young family – has been profound and, indeed, life-changing.